The best credit card for college students who need to build a credit history - Say No To Bad Credit DOT com! As American students get ready to return to college – or to move in for their first semester – they should start thinking about something in addition to course schedules and extracurriculars: their credit scores. College is an ideal time to start building a credit history, which is vital later on when it’s time to open utility accounts, apply for car loans and mortgages, and even apply to rent an apartment. For those without credit history, the best way to start is to be added to a parent’s account, or open a secured credit card, like the Discover it Secured. 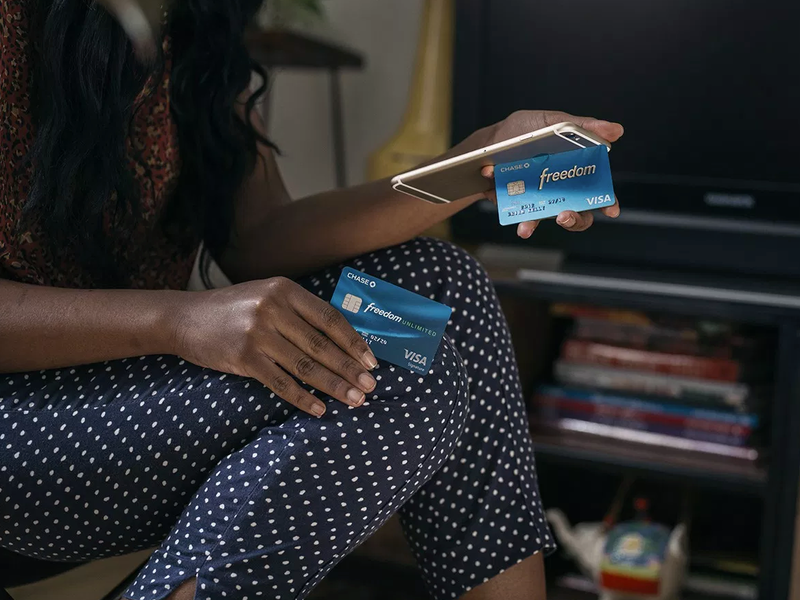 After that, the smartest move is to open a “real” credit card, like the Chase Freedom Unlimited. Credit card debt can be brutal and punishing – as the total amount of credit card debt in the US surpassed $1.02 trillion late last year, there’s no question that it’s something you generally want to avoid, especially if you’re younger and less financially stable. While that might seem like bad news, it’s actually a positive for the millennial generation, and as Generation Z reaches adulthood, it’s vital that they follow suit – responsibly, of course. Practicing healthy financial habits, not spending more than you can afford, and paying off your cards in full each month – or even each week – helps you avoid debt, interest fees, and negative data points on your credit report. A lot of the fear of credit cards comes from a misunderstanding of how they work. Just because you use one doesn’t mean you’re taking on debt – you can (and should) pay more than the minimum required payment each month. If you pay the full statement amount – or the full balance – before the due date each time, you won‘t be charged any interest. Plus, you’ll be able to earn rewards or take advantage of various protections and benefits. When I left for college, my mom added me to her oldest account, an Amex card. When I checked my credit report a few years later using Credit Sesame, I saw her entire account history on my profile as if it were mine – it showed “my” account as being older than I was! If you’ve never been added to a parent’s account, or you aren’t able to be, or your parent doesn’t have an unblemished account to add you to, you still have an option – get a secured credit card. A secured credit card is one where you put down a deposit – for example, $200 – and then you get a card with a credit limit of the same amount. You can pay the card on time and prove that you’re responsible, and eventually upgrade it to an unsecured credit card and get your deposit back. The card earns unlimited 1.5% cash back on all purchases, and has no annual fee. Plus, it features an introductory 0% APR for the first 15 months, so if you want to break the rule and carry a balance for a few months (for instance, if you need to replace an aging laptop but it’s a bit too pricey right now) without paying interest, this provides a great opportunity (after the introductory APR offer, a variable APR of 16.74-25.49% applies – so you should definitely make sure to pay off the balance by then). When you’re ready to upgrade to a card that earns better rewards – so that as you get older, you can start enjoying free travel by using your points – you can pool your points from the two cards, and get a bonus when purchasing travel, or transfer them to travel partners.